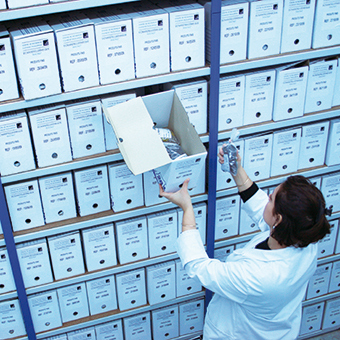 Composed of a laboratory, a growth room and a sample bank, our research centre includes 11% of the Frayssinet workforce. 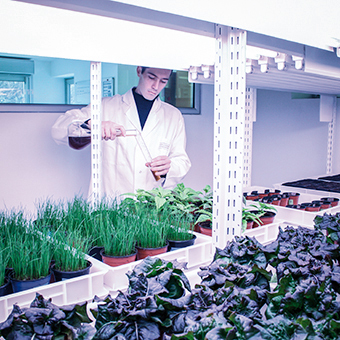 It engineers solid or liquid formulations and develops suitable, sustainable, innovative and cost-effective programs that meet the requirements of effectiveness and sustainability of crop productions. 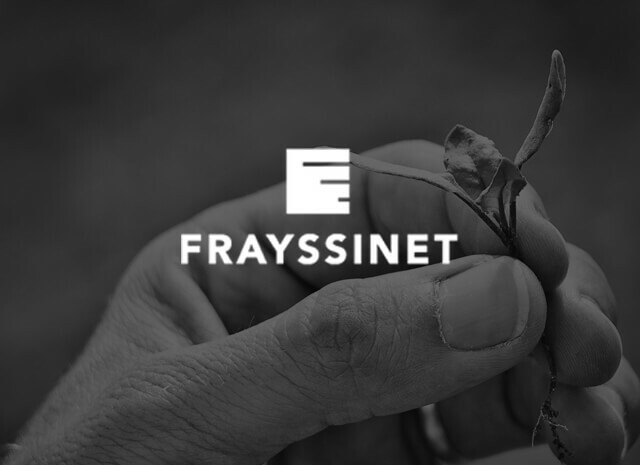 Frayssinet is fully aware that its metier consisting in returning organic co-products to the soil is the indispensable link to the cycle of life and nature. This “valorising” function goes along with irreproachable ecological ethics based on the use carefully selected, “clean” local raw materials and foursquare refusal to use waste materials presenting risks to the environment (urban sludge, household waste, green waste composts, etc.). Since 1995 partnership with CIRAD (International Center for Agronomic Research and Development) : A study on the characterization of organic matters and on the understanding of their mechanisms of action. 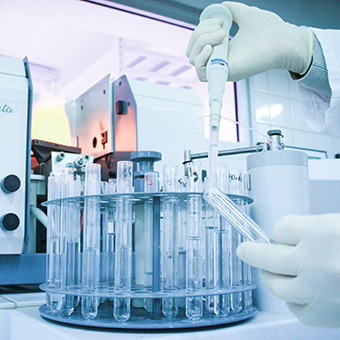 Since 1995, member of the BIPEA network (Bureau Interprofessionnel d’Etudes Analytiques – International Bureau for Analytical Studies) to control, maintain and improve the analytical performance of our laboratory. Depuis 1998 avec l’UM2 (Université Montpellier 2 Sciences et Techniques) : mise au point de produits stimulants biologiques et compléments nutritionnels. Since 2015 with IFV (Institut Français de la Vigne et du Vin): study of the impact of nutrition and stimulation programs on the organoleptic quality of wines. Since 2001 member RITTMO (Research centre – fertilization and agri-environment): participations and interventions in meetings-debates at national and European level. Experimentation partnership (ADEME support) on composting optimization. 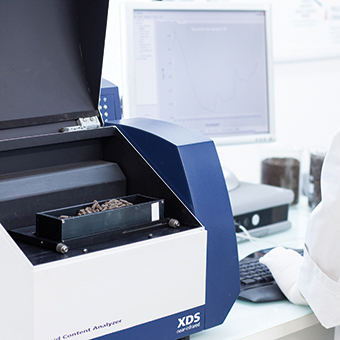 Since 2005 with SupAgro : in addition to the annual intervention of our researchers in the engineering cycles, a research partnership has been established for the study of organic fertilization on plant physiology.